Laughter queen Bharti will judge a TV Show ! Home » मनोरंजन » Laughter queen Bharti will judge a TV Show ! Bharti Singh who is a judge in Comedy Dangal spoke to reporters at the launch of the TV show. She said to that she doesn’t think that she is big enough to judge others. some are internet stars, some are TV stars. It is going to be a challenge for me to be a judge here. I am very nervous and scared most of the time, I don’t think I am a big enough star to judge others. It’s not like I am going to just sit there and smile I am going to perform myself. I am a standup comedian myself, and I don’t want to stay away from the stage. So I am a judge in the show an anchor and also a performer.” said Bharti. 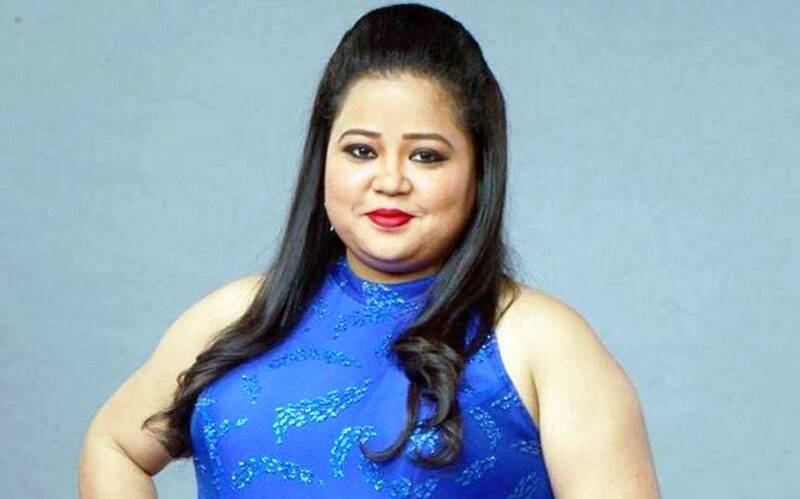 Bharti Singh and Anu Malik will be Judges for the new &Tv show, Comedy Dangal. Also read:Why is Deepika delaying the shoot of ‘Sapna didi’ ? Bharti and Anu have their own teams, one of the well-known stand-up comedians and other of TV stars, like RJ Mantra, Paritosh Tripati, Anita Hassanandani, Kamya Punjabi and Pooja Bose. “Kapil isn’t going through depression,I have been shooting since last 12 episodes with him. He is a little sick right now because he was busy shooting for his film Firengie, and back to back he used to shoot for the show. Anyone would have fallen sick if they would have worked day and night for 40 days like he did. she is filming The Kapil Sharma Show on Sony TV and Comedy Dangal on &TV. Ayushmann supports radio contest for budding singers ! Happy Birthday to the evergreen craziest voice of bollywood ! शाहिद, कंगना और सैफ की फिल्म ‘रंगून’ का पोस्टर हुआ रिलीज़!